She lives in Paris, I saw her on TV and I wonder if I haven’t even posted photos of her amazing afro. Crazy! Wow omg really!? 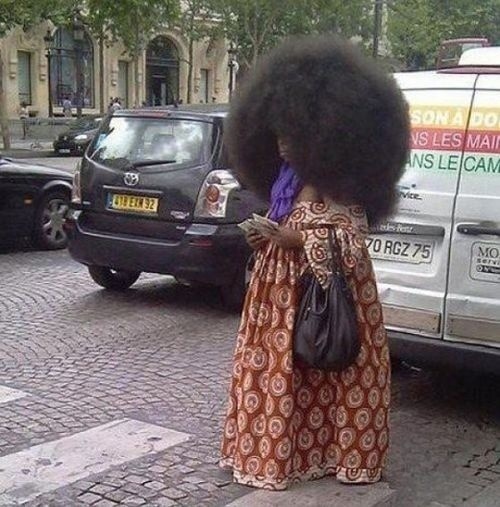 I wouldn’t know what to do if I saw her except bow down to her beautiful fro in all it glory. It’s just soo large!